i’ve had the flame wave socks finished for over a week…i’ve had the pictures for over a week. but every evening since, it’s seemed like i’ve either been too tired or too busy (what me, reading harry potter? 😉 ) to blog. however, i can at last present, a complete pair! mods: i altered the toe decreases to fit ‘my’ foot–making these ‘right’ and ‘left’ socks. 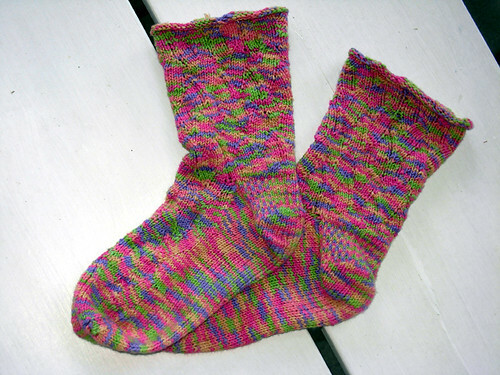 I absolutely love the socks that you knit, they look so happy and cheerful in this colourway – very beautiful indeed! 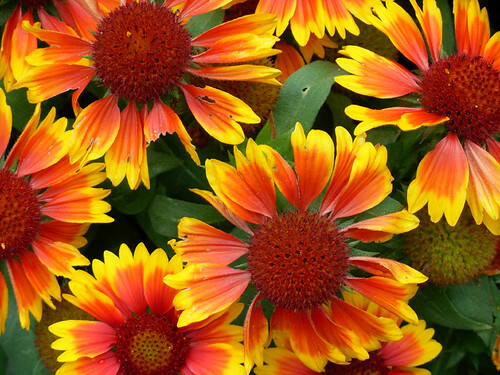 And what a great flower pic, again the colours are so inspiring! Thanks for sharing!